The world is embracing the Internet of Things in a big way. Telematics and remote control are everywhere. Distributed intelligence and decision-making at the edge are the watchwords of the day. To make a long story short: everything is connected. Now you know where your trucks are; you can monitor every pole-top and every unit of industrial equipment; your dispatchers, drivers and first responders are sharing data. With real-time data at your fingertips, you’re optimizing operations and making better business decisions. It’s a wonderful world. As your deployment grows, you start to encounter topographical challenges. The set of connected assets becomes so large that it’s impossible for it to remain consistent anymore. Your fleets and facilities don’t fit into the coverage area of a single carrier, for example. Suddenly, flexibility becomes tremendously important. Sustainable operations at scale require devices that can operate across multiple carriers without you having to manage multiple SKUs, potentially from multiple vendors. The combination of robust multi-carrier connectivity, fully programmable intelligence, and a comprehensive cloud platform enables the convergence revolution that is driving intelligence and making possible massively parallel autonomous decision-making without saturating network bandwidth or involving human operators. 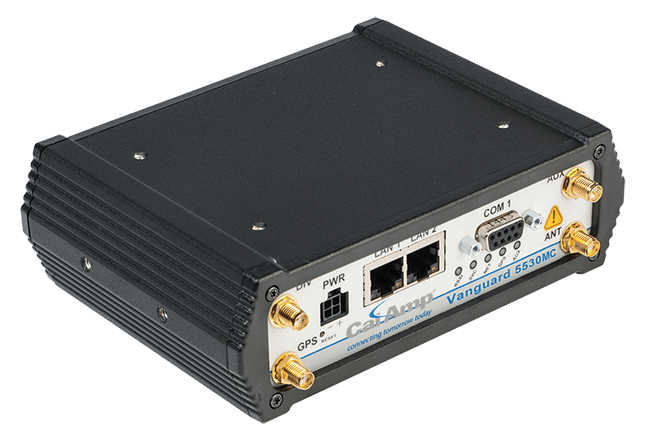 For more information about how a programmable multi-carrier device like the Vanguard 5530MC can help you manage your assets, check out our Vanguard 5530MC datasheet!